Overview: Bouyei is one of 56 ethnic groups officially recognized by the government of the People's Republic of China. Most Bouyei live in China's Guizhou province but some also reside in Yunnan and Sichuan provinces and across the border in Vietnam. 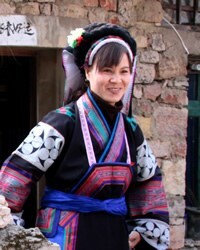 In spite of the governmental recognition given to the Bouyei, most Bouyei consider themselves to be Zhuang. Aside from the main Bouyei people group, several smaller related groups are assigned to this cluster.